Bulakali , Z. 2014. Legitimacy of small-scale and artisanal mining in the Democratic Republic of Congo: The case of Kivu. GREAT Insights, Volume 3, Issue 7. July/August 2014. 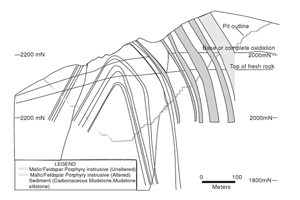 The substratum of the Democratic Republic of Congo (DRC) is very rich in natural resources and contains the main groups of minerals: the copper group (copper cobalt, uranium, zinc, lead, cadmium and germanium); the chromium, nickel, and diamond group; the tin group (tin, wolfram, colombo-tantalite, beryl, monazite); precious metals (gold, silver and platinum); iron and manganese; as well as mineral fuels (coal, oil shale, oil and gas). The province of South Kivu abounds in many of these potential riches, most of which are exploited artisanally. ‘Kivu’ is generally taken to mean South Kivu, North Kivu and Maniema – three provinces resulting from the territorial division of Kivu, the only province in the DRC serving as a pilot province. Section IV of the 2002 Mining Code (Articles 109–128)(1) establishes the legality of artisanal mining, which had previously been recognised by Decree-Law No. 82/09 of 5 November 1982 issued by President Mobutu, but only in areas outside the mining concessions granted to industrial mining companies. A conflict soon arose, however, between these companies and artisanal miners who were intruding on their mining concessions. Meanwhile, the mining companies have gradually weakened, with favour shifting antagonistically towards the artisanal sector. This article focuses on the last mining company in Kivu – Sominki, which was wound up on 29 March 1997, granting a portion of its assets to Sakima(2), which itself lacked the resources to resume mining operations. Another portion, consisting primarily of gold mines, was granted to a company called Banro. It is for this reason that many artisanal miners in the region rushed to the sites abandoned by Sominki, to the benefit of local society with little capital. From the moment Sominki closed its doors, and as a result of the disruption caused in the country by the wars of invasion in late 1996 which put an end to Wazabanga’s dictatorial regime, and from mid-1998 when the Congo was nearly divided up into ‘states’, the population of the mining regions were plunged into an undeniable, and ever-growing, misery. 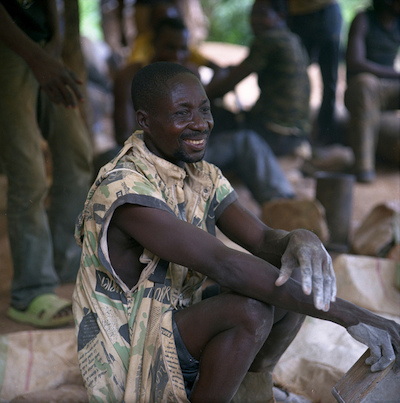 Indeed, artisanal mining has for tens of thousands of people become the only way to earn an income, however meagre. The influx of different populations (including many youths) into mining sites has prompted the International Monetary Fund (IMF) to address the issue; indeed, it has stated that approximately one-fifth of the Congolese population depends directly or indirectly on manual mining. (3) I imagine that today no one would contradict me when I say that the mining markets and centres in Kivu are functioning properly thanks to artisanal mining operations. The aforementioned wars also resulted in the various armed groups taking up positions in the forests. These were made up of former Rwandan Hutu refugees, either civilian or military (e.g. Democratic Forces for the Liberation of Rwanda (FDLR) and Rastas), rebel Congolese villagers (forming various independent militia groups known as Mai-Mai), and highwaymen and ‘road cutters’. In an effort to rehabilitate these groups, the Congolese government tried its best to integrate them into its national army, which has since become utterly disparate and, given that it is made up for the most part of former rebels from the forest, undisciplined. Does this mean such abuses are carried out at all mining operations in Kivu? But, not all resources mined here are ‘conflict’ or ‘blood minerals’. Indeed, the general estimate is that fewer than half the mining sites can be qualified as such. The FDLR, who have been surrendering in recent months, and a Congolese rebel group had occupied certain sites in the forest and mountains of the former Kivu. However, it is worth noting that today, thanks to various mechanisms (OECD, ICGLR and others), the situation on the ground is improving. Mine remediation operations are currently under way. The whole question, therefore, lies in the distinction between so-called ‘clean’ and ‘dirty’ areas, keeping in mind that a given site’s status as ‘clean’ or ‘dirty’ is not determined solely by the absence or presence of armed groups, but also of young children and pregnant women, as well as the non-payment of taxes and fees as set out in the Mining Code, damage to the environment, and other factors. The following illustration schematically represents such a gold mine in South Kivu, where industrial exploitation was recently implemented after artisanal mining had been carried out there for some 30 years. This graphic clearly depicts the areas of artisanal and industrial exploitation respectively: one portion of rock no longer exists (where the arcs are interrupted) because over the millennia this part of the hill was slowly eroded away by rain and wind. This eroded rock would fall into the valley where it formed deposits in streams where gold washers pan for gold, while other particles were sometimes carried along for kilometres together with pebbles and earth, having formed alluvial deposits that gold miners dig (not to mention earthquakes which reburied, more or less deeply, alluvial sites). On-site teams dig wells or galleries in the rock itself. However, they can hardly descend more than 30 or 35 metres below the surface (the DRC Mining Code prohibits artisanal miners from descending more than 30 metres(9) because beyond this depth, air must be blown into the cavity using compressors, thus requiring an electric current (produced by a generator, which requires fuel), etc. In any event, it is partly because artisanal miners use such wells and galleries that industrial operators see them as ‘skimming off’ such rocky sites. On the other hand, such operators are deeply concerned about the constraints linked to the extraction methods that must be used below a crust riddled with so many holes. Indeed, this type of working environment involves stripping a layer of rock some 30 metres thick, which can be prohibitively expensive if the site is a rocky quartz mass, as is often the case in such a mineralogical context. As regards the site shown in the figure, the industrial operator in question is preparing to dig an open shaft up to 300 metres deep, as the line labelled ‘pit outline’ indicates. 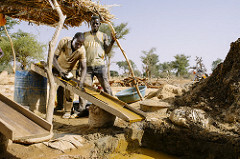 Given the extreme management difficulties posed by artisanal mining operations carried out by tens of thousands of defiant actors scattered across numerous locations, government authorities are increasingly showing a willingness to replace such artisanal mining operations with small-scale mining companies, which are easier to formally oversee. Indeed, if we manage to attract investors to set up small mining companies, we can assume that they will do everything they can to open an access road, or at least an airstrip, however basic, allowing provincial officials to carry out on-site inspections. Better pay for these officials is also vital, as is ensuring they can carry out their work in good conditions so that they are not tempted by fraud, a scourge that plagues today’s mining sector. Zechariah Bulakali is a mining researcher and IPIS focal point in Bukavu, South Kivu, in the Democratic Republic of Congo. This article was originally written in French, the version of which is available on the ECDPM website. This article was published in GREAT insights Volume 3, Issue 7 (July/August 2014). The provisions of other articles throughout the Mining Code reinforce those of Section IV, including taxation and how it relates to artisanal mining, as well as the Mining Regulations (Decree No. 038/2003 of 26 March 2003 which defines the measures for enforcing the Mining Code). Certain witnesses claim that three tons of geological documents (mainly maps and surveys) were dispatched by aeroplane from Kinshasa to South Africa just before Sominki was wound up. Broederlijk Delen (dir. ), L’avenir du Congo est-il miné?, Brussels, Broederlijk Delen, Commission Justice et Paix francophone de Belgique and the Nationaal Instituut voor Zuidelijk Afrika (NiZA), Brussels, 2008, p. 10. Rwanda currently has seven operational mines (Gatumba, Rutsiro and Nemba for cassiterite and colombo-tantalite/coltan; Gifurwe and Kayonza for wolframite; as well as the Rutongo, Nyakabingo and Cyubi sites), while Burundi has four recognised mining regions, with gold in the Kibira forest, in the north-west of the country, and in the Muyinga region in the north-east near Tanzania; cassiterite in Karagwe Tin Field (Kavuruga or Muramba); wolframite in the Murehe-Busoni-Giteranyi region in and around the Bugesera basin; and columbite-tantalite in the Kabarore-Kabatwa region on the eastern side of the Kibira forest. 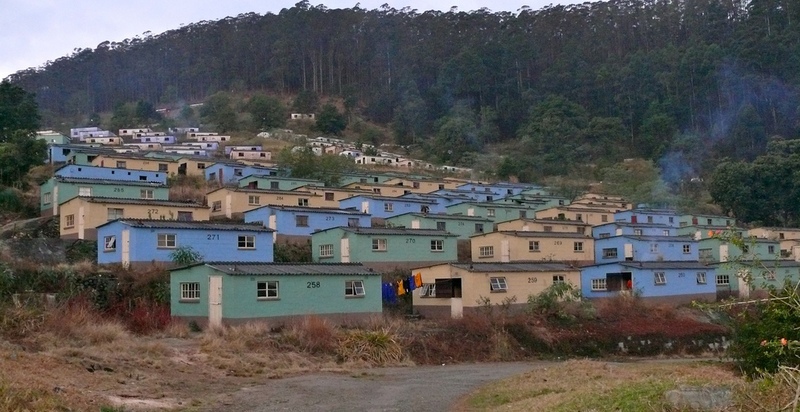 One example is Twangiza, a former MGL site reopened by the Canadian company Banro. One site, the Mobale mine near Kamituga, located in Kivu’s ‘gold belt’, had been operational as an underground gold mine until it was severely looted at the end of November 1996, just days before the arrival of AFDL troops on 30 November 1996 and a few weeks before Sominki was wound up. Even the World Bank, in its Poverty Reduction Strategy Papers (PRSPs), recognises the importance of differentiating between these two sub-sectors: ‘The [PRSP] development guide clearly states that the mining sector covers large-scale mining activities on the one hand and small-scale mining activities on the other. 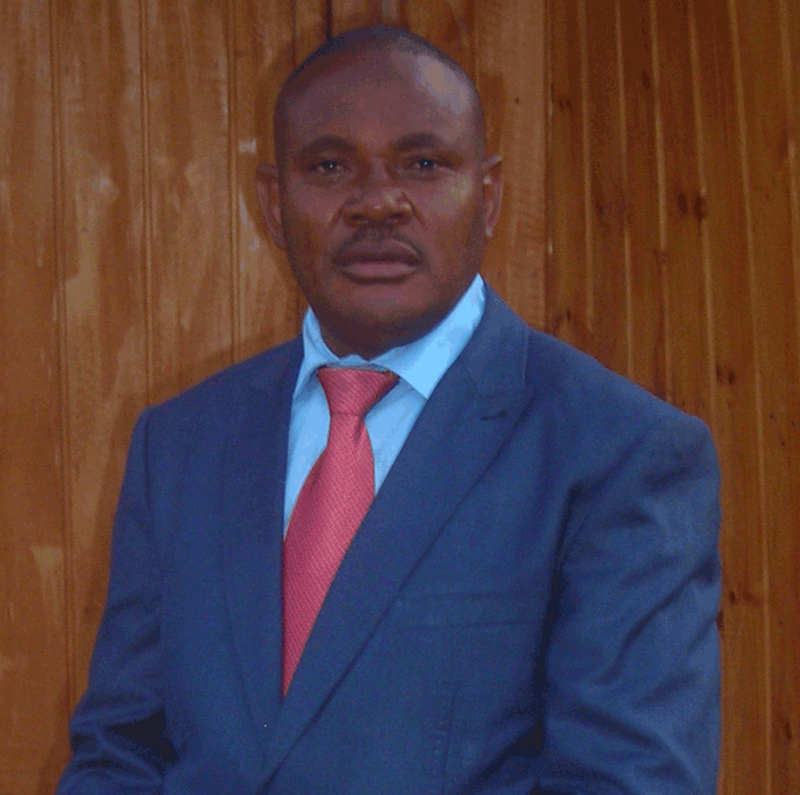 It is advisable to carry out an assessment of social, economic, environmental, cultural and other impacts, taking into account the differences in scale of these activities’ (Mazalto, Marie, Gouvernance du secteur minier et enjeux de développement en République démocratique du Congo, doctoral thesis, Sociology Department, Université du Québec à Montréal, 2010, p. 59). 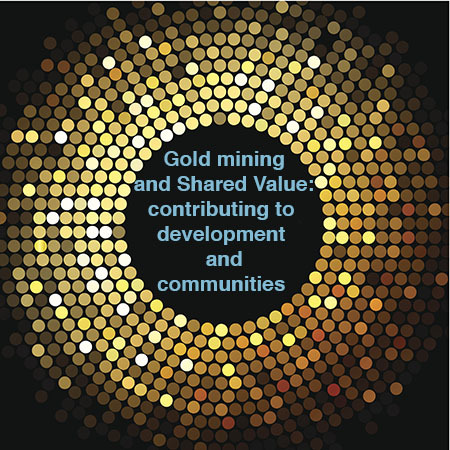 This illustration was adapted from a public presentation given by an international mining company (at the invitation of civil society) in Bukavu on 2 December 2008. In practice, the Mining Regulations purely and simply forbid the digging of tunnels and the carrying out of excavations below a depth of thirty metres. They also stipulate that artisanal operators must maintain an incline of 15% and leave horizontal banks at least one metre wide, at a depth of every two metres (Code de conduite de l’exploitant artisanal, Art. 9, in Règlement minier, p. 240). Nevertheless, tunnels, shafts and galleries can be found in plenty of mineral deposits. It should also be noted that the depth of thirty metres is usually the level at which oxidised minerals (by the oxygen at the surface of the Earth’s crust) are replaced by sulphide minerals, which are not processed the same way. 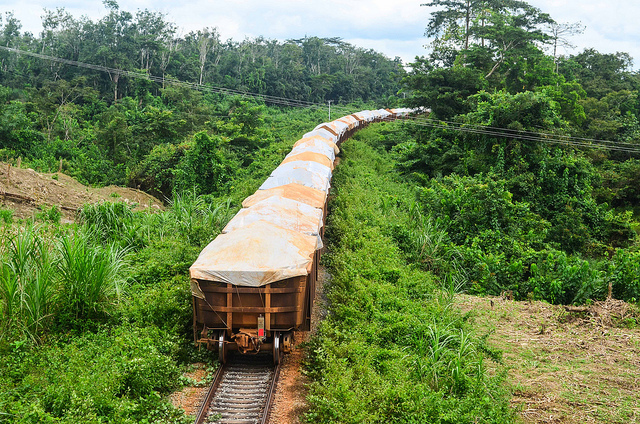 Artisanal gold mining in DRC: Time to get down to earth?